February 16, 2015 – Nips, tucks, and facelifts aren’t a part of the current makeover craze in Bourbon Country, but new labels, bottles, and even new names are. Sazerac’s 1792 Barton Distillery is home to the latest makeover, with its flagship 1792 Ridgemont Reserve Bourbon receiving a new bottle design and a new name. 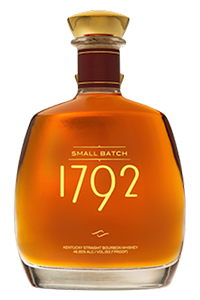 “Ridgemont Reserve” is gone from what will now be known as 1792 Small Batch, along with the burlap trim on the neck. The basic bottle remains the same, as does the whiskey inside, and no change is planned in pricing. Sazerac inherited the original name and packaging when it acquired the former Tom Moore Distillery in Bardstown from Constellation Brands in 2009, along with more than 40 other whiskey brands. In a news release, Sazerac’s Elizabeth Hurst explained the reason behind the makeover. “Many bottles in the bourbon category have quite a traditional look, but we realize some bourbon consumers are looking for something different, perhaps more contemporary,” she said. Traditional is one of the first words that comes to mind when describing Beam Suntory’s Old Grand-Dad, one of the heritage brands in Bourbon history dating back to 1882 when Col. R.B. Hayden decided to name his family’s Bourbon in honor of his grandfather, Basil Hayden. Basil Hayden created the original recipe for the high-rye content Bourbon and passed it on to his son and grandson. The “bottled in bond” version of Old Grand-Dad has also been given a slight makeover, while maintaining the brand’s traditional style. 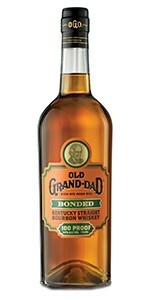 It’s now being called “Old Grand-Dad Bonded”, with a cleaner label that gives Hayden’s legacy more prominence. The screw-cap has been replaced with a cork closing on the new traditional-style bottle. As with the 1792 Small Batch, the whiskey inside remains the same; four years old, distilled in the same bottling season, and bottled at 100 proof (50% ABV). Recommended retail pricing for 750ml bottles is $24.99 USD.